Happy National Donut Day! | Food E.
That’s right. National DONUT Day. Good thing Friday calories don’t count. Today enjoy a free donut from Krispy Kreme at Penn Station or your local Dunkin’ Donuts (with purchase of any beverage). 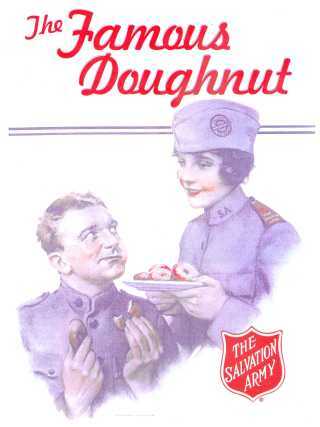 A little history on the day (thanks to Wikipedia, of course): National Donut Day is on the first Friday of June each year and follows on the Donut Day event created by the Salvation Army in 1938 to honor the women who served donuts to soldiers during World War I. So eat a donut today, people! It’s basically your patriotic duty. Happy weekend!